A 28-Day Video Awakening to A New You! Click the video to Watch the Trailer. Click Free Trial to Watch Lesson 1. You will love this course! "Master Your Mind, Master Your Life is one of those once in a lifetime courses. What do you really want now and going forward? When we ask ourselves what we really want, the question hidden in the background is: how do we get it? In this entertaining and enlightening 28-day video course, you experience the freedom and bliss of mastering how you relate to four important areas of life – Mind, Relationships, Money and Purpose. What defines us and determines how we manifest our outcomes and destiny more than anything else in our lives are our habits of thinking. This has been taught in the greatest mastery wisdom traditions from the Buddha to the Bible, and today is being proven by quantum science. Establish a masterful relationship with your very own mind, as a way of life. Mind is the great manifestor, yet most of us still have not yet mastered our relationship with our very own mind. By “mind,” we mean what we hold in awareness including thoughts, emotions, the spiritual heart, soul yearnings, and the sense of the sacred. Our patterns of thinking affect and influence everything from the chemicals in our body to our emotional state to our experience of spiritual connection. Our habits of thinking shape our decisions and choices, our actions, what we say, how we listen—virtually all of our results. Yet we sometimes find ourselves missing the mark—missing the goal of what we really want in these important areas of life: Mind, Relationships, Money, and Purpose. Quantum principles and spirituality in everyday life. If you have always wanted to know how to live the wisdom of quantum principles, spiritual laws and metaphysical knowledge in practical daily life, you will love the ease and enjoyment with which this happens for you in just 28 days in this course. In this video course we focus on conscious practices for the mind and awareness toward becoming established in our highest and most connected state – so we naturally create a life we love – using an expanded, modern way of thinking, and the divine tool of creation, our very own mind. One is keeping your vibrational frequency – that is, your state – more refined, lighter, higher, clearer. The other is consciously conditioning new and expansive habits of thinking. What’s different and exciting about this course is that it is infused with the QuantumThink® method that was Dianne Collins’ inspired revelation, combining quantum principles, spiritual laws and metaphysical knowledge into practical modern living. Every day for 28 days, (or choose your own pace) Dianne connects with you in virtual conversation through entertaining, transformative, inspiring videos. In written lessons, she offers simple practices for the mind and awareness she calls “Recreations” that have you living the wisdom, enjoying your own revelations and expansion, each and every day. 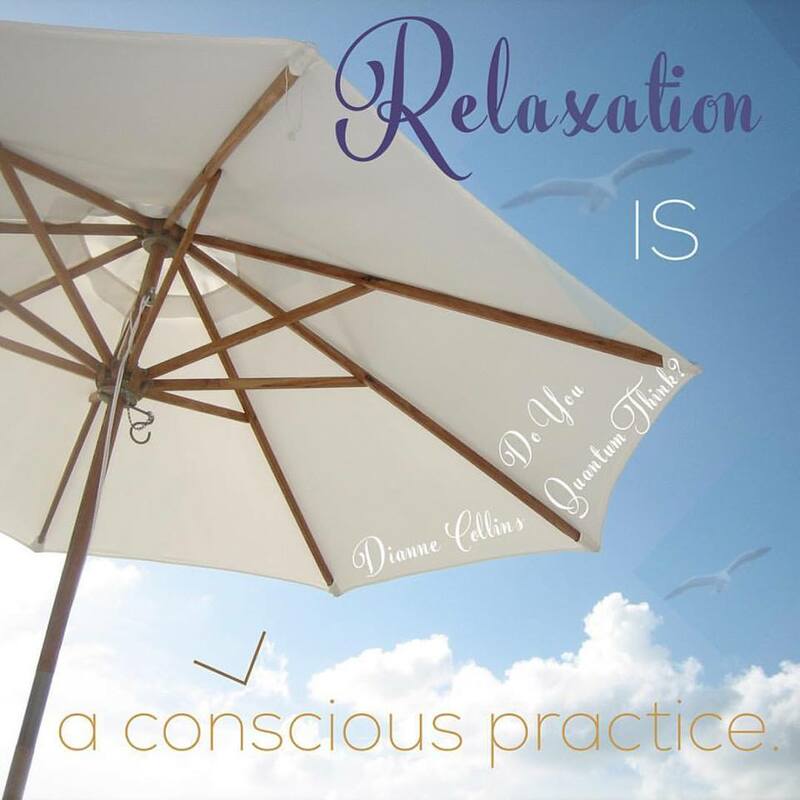 Dianne Collins shares unique wisdom that has been given to her in very specific ways throughout her life. The 7 Levels of Relating show you why and how you connect with people to create conscious relationships. You learn to master the 5 Natural Faculties of Mind not taught in conventional education, and how these powers of mind work together. You will experience an entirely new relationship with Money by seeing Money through the 7 Dimensions, from the physical to the sacred, and learn what it means to establish a “conscious” relationship with Money. "Absolutely fabulous. Thoughtful, intelligent, comprehensible, practical. Diane teaches from joy, wisdom and humility. The course content is easy to follow and offers practical, easy to use and inspiring tools to help one move forward in life with quantum leaps. STEP INTO YOUR POWER AND MASTERY TO CREATE A LIFE YOU LOVE. Awaken awareness every day in new ways – apply quantum principles, universal laws and cosmic perspectives to relationships, money, and purpose. Mastery with the 5 Natural Faculties of Mind – Intent, Intuition, Subtle Energy, Resonance, Meditation – the faculties that enable you to create, to tune in, to manifest, to call forth, to be established in a state of equanimity, clear and calm, centered and focused. Elevate your energetic frequency – become established in your highest state through awareness practices. Gain personal clarity – knowing what you really want in your life now, and going forward. Create relationships consciously – a profound understanding of how and why we connect, through conscious listening, a new relationship with yourself, through falling in love with emotion, and by learning the 7 Levels of Relating – from the physical to emotional to mental to spiritual to divine. Distinguish your purpose – with specific exercises that provide direct knowledge of what makes you unique. Attune to the energies of the time – guidance on where to focus your attention now, based on planetary cycles. Break free of limiting thoughts – you understand where automatic thoughts come from and they no longer affect you. Create a conscious relationship with money – Money is central to life, yet most of us are stuck in conditioned beliefs and fears around money that we actually did not choose. You establish an empowering relationship that invigorates and lets you relax. Make your mind your friend – develop a masterful, friendly relationship with your very own mind. In this time of a great shift for humanity and unprecedented change in our world, it’s more important than ever to connect to ourselves, to the truth of our being, to the wisdom each one of us is a channel of—to be masterful in creating what we truly want. Yes, it’s time for us to be the walking-talking embodiment of ancient and modern wisdom made practical. I am so very grateful for your work. My Inner Wisdom clearly tells me you are my teacher. It has since reading your book five years ago (which I return to when guided). Your words guide me to my Highest Knowing. I have entered the state of higher consciousness repeatedly throughout this course. The truth of this resonates. I know what I know. Your work has been a catalyst for me to reach this state of awareness. I appreciate your human-ness as well as you as Spiritual Being. Thank you. Many blessings to both Dianne and Alan!! Robyn K.
This course was a home run for me! Although I have read Do You Quantum Think and integrated some of that material, this course opened a whole new vista. As anticipated by one of the course's objectives, I had a desirable result that I didn't expect or predict. Namely, the material awakened some similar concepts I learned in other courses, and they all came together for me -- a quantum step beyond where I've been so far. Instead of just "understanding" these materials, I was embodying some of them -- being with them at a deeper level of meaning. Another aspect that awakened for me was having more of a feeling of gratitude -- beyond just the thought of being grateful. Nearly every day during the course I experienced a feeling of deep gratitude for what Dianne and Alan have created. In short, this was a highly valuable course for me and I recommend it wholeheartedly. It is one of the most practical course that combines science with spirituality. Thank you for such an amazing gift. 28 days, 30 minutes a day. Live Masterfully. 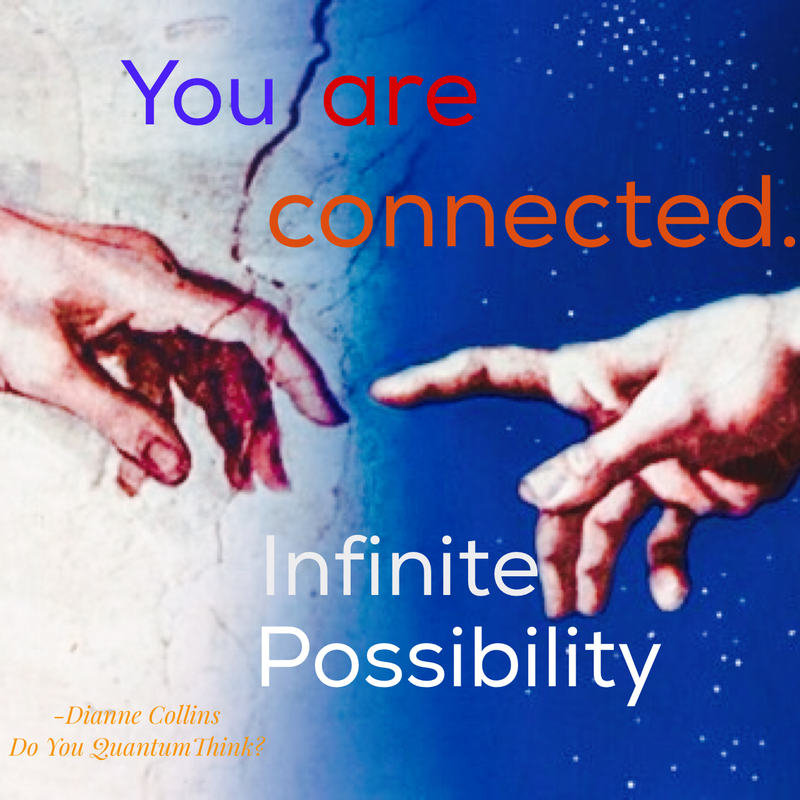 Dianne Collins, the creator of the groundbreaking new system of thinking, QuantumThink®, is a philosophical pioneer taking us to the state of mastery and excellence that resides within each one of us. She is a bridge, a translator, a modern oracle of higher consciousness, of living the wisdom of science and spirituality made practical in modern life. 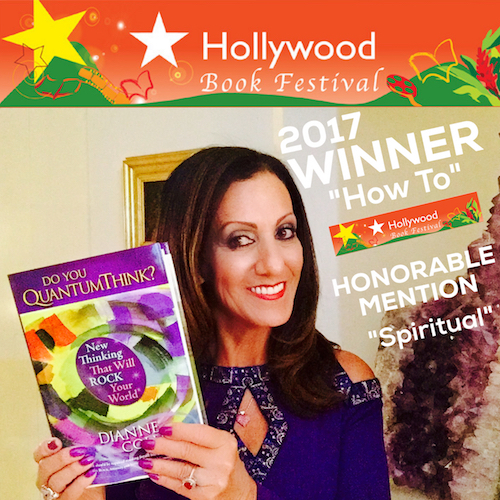 Dianne is author of the 8-time award-winning bestseller, Do You QuantumThink? New Thinking That Will Rock Your World, considered a witty and wise “must-read” for our changing times. QuantumThink®, comprised of 21 principles and practices for the mind and awareness, leaps us to the expanded, more accurate and cutting-edge quantum world view – keys to real solutions from inner serenity to relationships, business and global affairs. A popular media personality, Dianne Collins has been interviewed hundreds of times on radio and TV. As a featured blogger on The Huffington Post, she declared what she named “the Consciousness Crowd” as The New Mainstream, and it went viral. 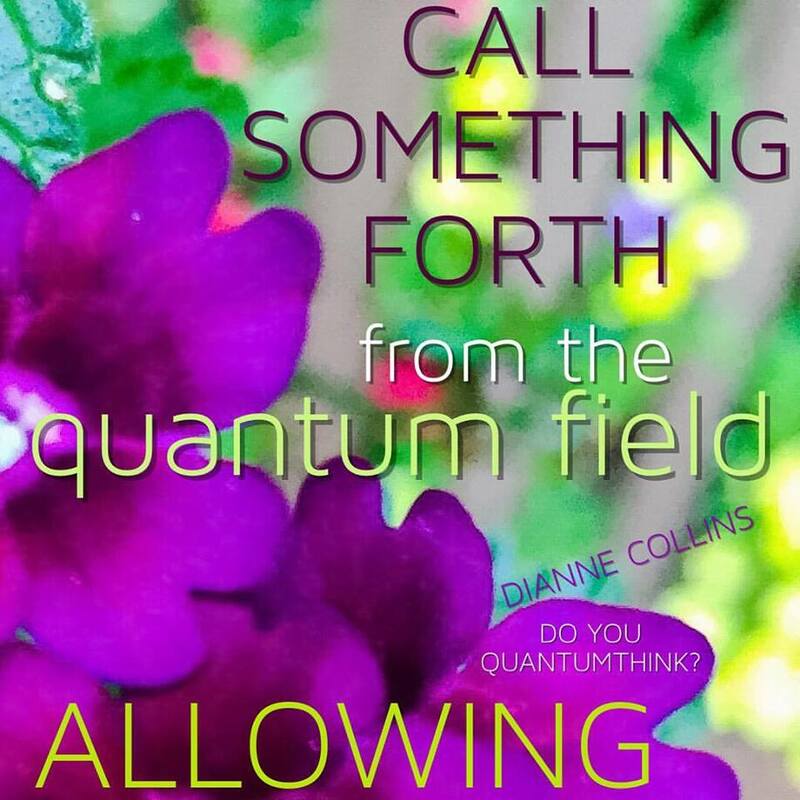 Dianne works with her husband and business partner, Alan Collins, as a Strategic QuantumThink® Consultant to senior executives in the world’s leading corporations, as well as to celebrities, artists and entrepreneurs. Their client list includes AT&T, Accenture, CNN, IBM, McKinsey, Dupont, Telstra, and USA Federal Executive Institute. Dianne Collins tunes in to cutting-edge thinking and technologies as a way of life. She has engaged in a daily spiritual practice for 30+ years. She is an avid student of planetary energy trends and metaphysical laws, and is a natural intuitive, immersed in quantum principles. Her wide range of experiences—from receiving the teachings of enlightened masters to partying with the rock stars—give her a big picture view and a unique connection with people of all ages, cultures, and perspectives. Dianne wants everyone, everywhere, to step into their power to create consciously with vibrancy and joy, and share their unique wisdom brilliantly for a glorious world. In this unique video course, Master Your Mind, Master Your Life, Dianne Collins makes it easy and entertaining to apply the wisdom in everyday life with elegance and grace.